Another common worry is that working with titanium increases the machines' risk of fire. This comes from the misconception that when manufacturers turn the parts in high-speed, hydrocarbon-cooled applications, the fires occur in the titanium itself. Although a small percentage of these fires do begin with the titanium, the majority begin in the coolant oils, where the flash point of the oil is typically less than half of the flash point of titanium. Usually, a fire starting in the coolant oils will grow and become hot enough to ignite titanium. The key is to catch the fire quickly before the heat can build, and that’s what Firetrace suppression systems were designed to do. Fires occurring in CNC machines can cause significant damage in seconds and spread throughout the facility, causing extensive damage. 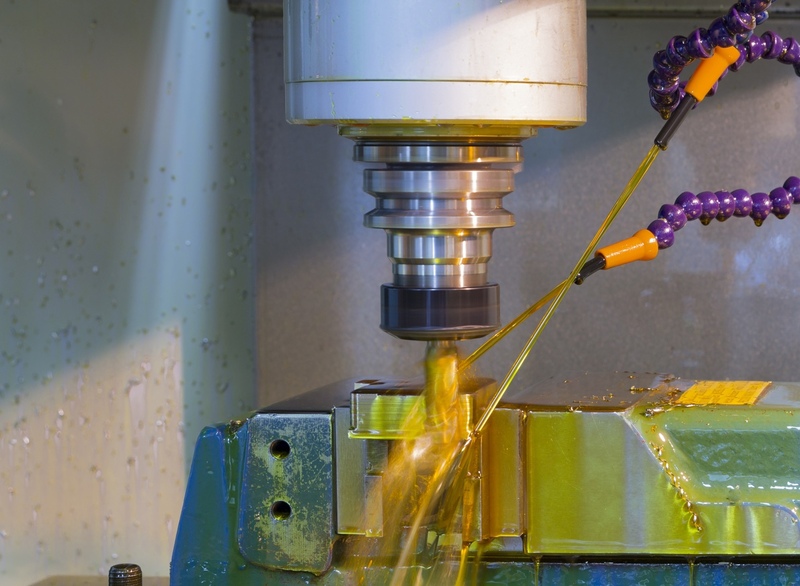 Even in the presence of operators, CNC machines have been destroyed. Your CNC machinery needs fire suppression and protection. There’s no getting around it. Firetrace provides reliable, CNC machine fire protection, ensuring that fires will be quickly detected and suppressed, often before real damage is done. The red Firetrace Detection Tubing (FDT) is at the heart of the system. By routing the tubing throughout the machine, the system can detect a fire at its source. The placement of the FDT reduces activation time and the potential for damage. Under normal circumstances, the FDT detects a fire 10 times faster than traditional methods and provides superior industrial fire suppression.